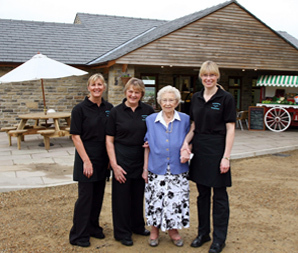 Our ice cream is made by us on the premises using milk from our own cows. 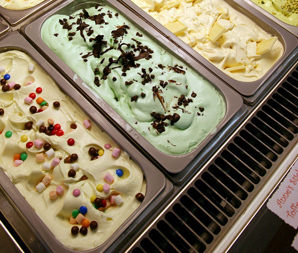 We have developed around 30 kinds of own recipe ice cream for you to savour. 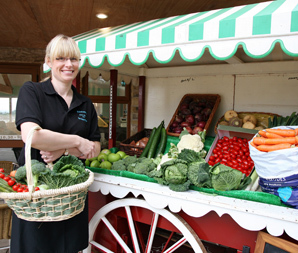 We have our own butcher on site who makes the most delicious sausages and burgers to his own recipes. 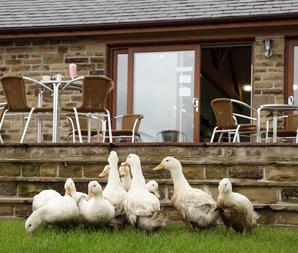 We use top quality Beef & Lamb bred here on our farm. We also have for sale homemade pies and hotpots, cooked meats, cheese, eggs, jam, preserves and biscuits along with locally sourced seasonal fruit and vegetables. 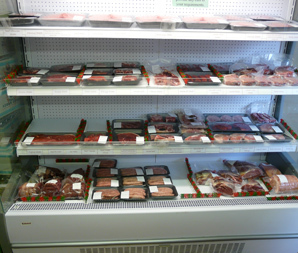 We also sell homebred half lambs and rarebreed pigs for the freezer.